Ceiling fans were constantly undergoing changes and improvements, such as adapting a motor that was originally engineered by Philip Diehl for use in sewing machines. The Diehl Electric Fan actually operated much like the common modern day ceiling fans, with each having its own motor that eliminated the need for the belt systems that were both bulky and costly. Fortunately, ceiling fans have continued to evolve throughout the years. Because of this, many different makes and models are now available. They run the gamut from strictly functional or whimsical, to a fashionable accessory, both simple and complex in design. There are many companies that produce excellent products, such as the Casablanca Fan Company, Hunter, Hampton Bay and Fanimation, to name a few. The Fanimation ceiling fans have become very popular due to their innovative designs, ensuring that you will find something that suits your style and taste. 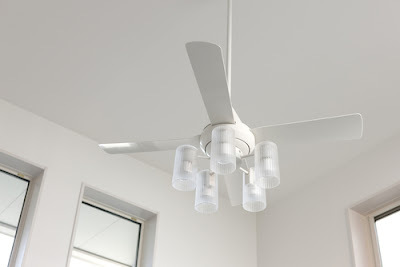 While ceiling fans are practical that does not mean they have to be boring. There is a huge selection of unique and popular fans, especially through a company called Fanimation. This type of ceiling fan has an unprecedented number of variations through its lighting, fan blade, finishing and many other accessory options. It can be customized so there will be at least one or several styles that will suit your needs perfectly. A Fanimation ceiling fan has several unique designs, such as the Islander with a palm leaf fan blade and the Palisade that has a vertical rotation design. Another style that has become very popular is the contemporary Enigma, which is a single blade fan. With summer around you are yet again going to purchase a new ceiling fan. Your last fan is making a grouching noise every time you sit under it and you are tired of calling the electrician again and again. Do you know lot of these problems depends on the technical aspect of the model you are purchasing than its outer design? 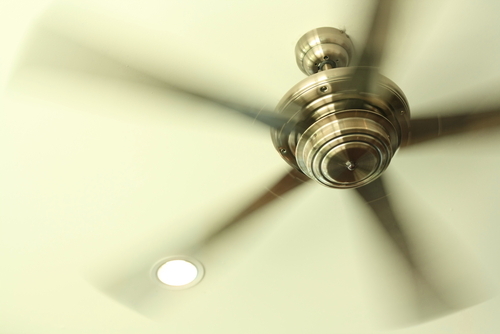 So here are some key facts for you to consider while purchasing a ceiling fan. 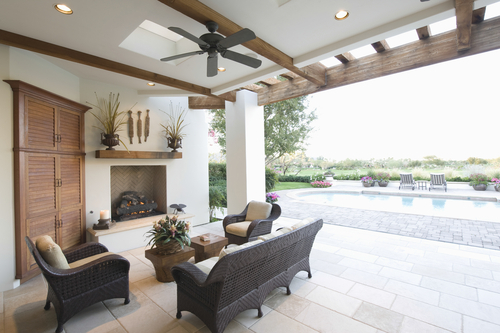 More and more people add style and functionality to their homes by installing ceiling fans. Certain stylish ceiling fans can really make a room look good. There many ceiling fan manufacturers and just like everything else, ceiling fans can be purchased online. If you are not really sure what ceiling fan you would like to purchase then the internet is a great place to start your research. There are sever shopping portals online where you can search for ceiling fans by design, by manufacturers or even by color and size. The internet is one option however there are others as well. Another place you can search for ceiling fans are lighting showrooms, hardware stores, and home improvement stores. Certain ceiling fan manufacturers allow customers to customize ceiling fans based on their own needs. In situations like these you can pretty much customize fans based entirely on what you would like. You can choose the color, the exact blade length, add lighting options and even additional functions. Shopping for ceiling fans can be fun. It is like shopping for other electrical appliances. Ceiling fans come in a variety of styles and sizes. If you like shopping I would recommend to look for deals. Certain fans can come in discounts and there is always a sale going on someplace. Fall and winter are the best seasons to purchase a ceiling fan because stores, even online, try to sell all of last years merchandise to make way for next years ceiling fan models. Therefore, you will find several discounts on ceiling fans if you are shopping during these months. The internet can be used to do very comprehensive comparisons in prices before you go out to buy your new ceiling fan.To develop minimum energy performance standards and labelling design for equipment and appliances. One thing you might want to look for when searching for a new ceiling fan is the energy star qualification. That means that ceiling fans that have the energy star are certified for maximum energy efficiency. These types of products will save you more money in the long run. You will not only save money by using your ceiling fan instead of your air-conditioner during the winter months but you will save additional dollars because your ceiling fan is efficient. Some people prefer ceiling fans that can be controlled with a remote control. Older, traditional ceiling fans had two kinds of controls. The first was the switch for the lighting the ceiling fan might have. The second control is the one that adjusts the speed of your ceiling fan. Newer models have remote controls to switch speeds and turn on and off your ceiling fan. The remote control feature of your ceiling fan is something optional, some people like it some people prefer the traditional features. Purchasing a ceiling fan requires some research but as you have seen there are many options when it comes to how you will go about buying your ceiling fan. The internet can be used a great place to start researching and actually finding great low prices on ceiling fans. 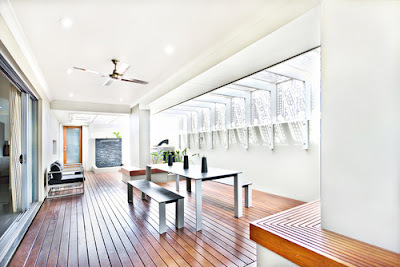 A balcony ceiling fan is one of those things that are not only very beautiful but also rather practical and functional. 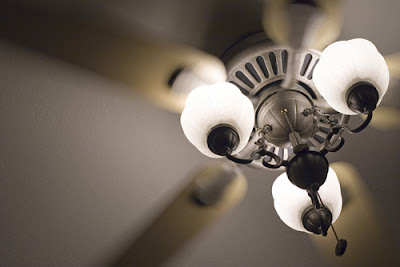 Unlike the desk fans that are considerably dangerous especially if you have young ones and pets around the house, the ceiling fan is safe and completely out of the way. Also, they come in handy both during summer and winter making them useful all year round in Singapore. These are just some of the reasons as to why you should have a ceiling fan. 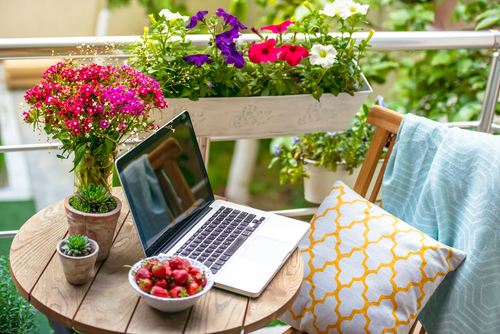 Like any other part of your house, the balcony is a relaxing place and you should be able to sit there comfortably. This is why balcony-ceiling fans require a special consideration when you are looking into the concept of ceiling fans for your home. Below are six useful tips that will take you through the exercise of choosing and installing a proper balcony-ceiling fan. -Check its rating depending on whether your balcony is open or not. The first thing to look at when you are looking to install a balcony ceiling fan is the size of the balcony with respect to the fan that you would like to buy. If your balcony is relatively small, you may want to buy a fan that is also small and will not look overwhelming on the area. Look at your balcony and visualize the fan on the ceiling. If it looks bigger than the room than you probably should not buy it. Rather find something that will look like a perfect fit, which is neither too big nor too small. 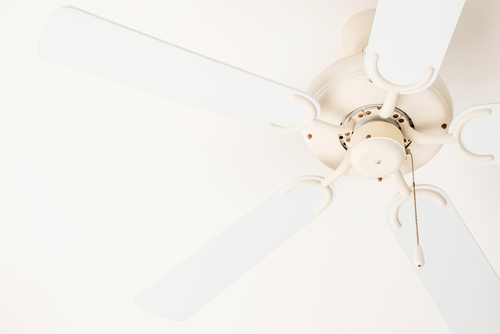 Like most of the items you would buy in your home, the ceiling fan should be able to last. This means that you have to look for a fan that is not only affordable but also of the highest quality possible. The balcony is usually an outdoor area, meaning that there is exposure to the environmental elements like sunshine and wind and most cheap products would deteriorate easily under such harsh conditions. Also, seeing as the ceiling fans are useful both during winter and during summer you may have to keep it on a lot. Having the best quality will ensure that it is durable and will serve your home for a considerably long time. Like in many other instances, cheap is expensive here since a cheap fan will only have you replacing or repairing it more often than a high quality one. 3. Wet rated or Damp rated? When installing a balcony ceiling fan, you need to ask yourself whether you need a wet rated one or a damp rated one. The wet rated ceiling fans are especially practical for open balconies where they have exposure to rain, snow and wind. This means that they can survive the harsh weather conditions of the outdoors. 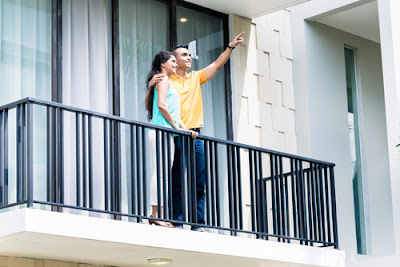 If your balcony is not open however, you can settle for the damp-rated ceiling fans that are rather sensitive to the harsh elements. Depending on where you live and what your balcony looks like, you should be able to choose the appropriately rated fan for your balcony. The balcony is a part of your home and as such must be part of the concerns that you consider in your home theme. This means that the balcony ceiling fans have to be a part of your home décor theme by either being of a similar or related color, material or historical era, or even design. If your home has a Victorian theme, it would be only natural for you to install a Victorian ceiling fan in your balcony and if the theme is mostly African you can also just as easily find a balcony ceiling fan that has an African theme. The main factor here is to avoid having a ceiling fan that looks out of place in your home. There must be some coordination with the rest of the décor unless you are aiming for an uncoordinated look as your theme. 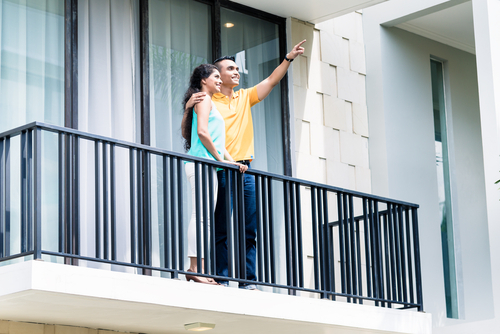 The height of your house, and in this case your balcony, affects the kind of ceiling fan that you can install. This is because you would not want to install a ceiling fan that is too low and can thus be dangerous or too high to be effective. There are ceiling fans for both low and high ceilings and you have to pick one that matches the ceiling height in your balcony. On the idea of energy consumption, everyone today shares the concern of conserving energy and thus a fan with a lower energy consumption is considerably better seeing as you will save energy and cut down your power bills. Considering that these fans could be on all through summer and winter, it will be best if you buy one with an excellent star rating for affordable power consumption. Decorating the home is like designing a relaxing place for yourself. It is often not only expensive but also time consuming and you could make a lot of mistakes if you do not know what to do. This is why among the six useful tips is the need to speak to a professional. 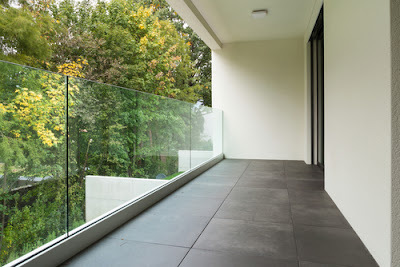 You can decide on the type of fan you want for your balcony in terms of the theme, size, color and even energy rating. However, you will need an expert to guide you with things like the type of material that would be best for your home depending on the theme and the kind of lighting that would go well with the design that you want among other things. Buying and installing the balcony ceiling fan is rather simple if you have the guidance of a professional in home décor and especially with the ceiling fans. You will appreciate that like in any other field, these professionals are often willing to provide information in the future in case you have a problem with your ceiling fan. The first priority of the people living in Singapore is to keep their hoes well ventilated due to its sunny and humid environment. Though many people use air conditioners for this purpose but the most affordable and green method of cooling your home can be a ceiling fan. But choosing stylish fans for your home, whether a new construction or replacing the existing units, can be difficult for you due to their availability in vast varieties. In fact people chose these fans as the part of the decor of their home so they specially focus on their style and looks. Some online stores display different types of ceiling fans on their front page to help you in choosing suitable fans for your home. they may include fans with lights or no lights, different number of blades, finishes, control systems and hanging styles from which you can choose as per your suitability. There cannot be a universal method to choose stylish fans for any home as they are available in various colours, sizes, designs and styles from which you can choose as per the decor of your each room. If you are searching for the ceiling fans to give a stand out look to your room then a stylish fan can really be the best choice for you but along with their pleasurable looks you should also focus on the services provided by them. some guidelines are provided hereunder which can help you in choosing a ceiling fan in Singapore to match with your style. Whether you are buying ceiling fans in Singapore for the first time or replacing your existing fans to give new look to the interior of your home the steps provided here under will be extremely helpful to you in buying the best and stylish fans for your home or commercial establishment. Budget: The first thing to focus on while buying stylish ceiling fans in Singapore is your budget in this regard. You can find stylish fans in various price ranges from $50 to $1000 and above depending upon their features, quality and performance. You can prefer to choose these fans within your budget from online stores as they usually offer various discounts and promotional offers to their customers to improve their traffic. Location: The second thing to be considered is the location where you want to install the ceiling fan as it can your living room or porch. It will help you in considering the fans according to their performance as each location is exposed to different weather conditions. If the fan you selected is specified for certain locations then it will be easier for you to take final decision. You can see if any rating is mentioned on it as some fans are rated UL Dry, UL Damp or UL wet assigned by Underwriters Laboratories. Usually fans with wooden blades are rated with UL Dry rating as they are specially designed for moisture and humidity free dry interior locations. Fans with UL Damp rating are considered the best for moist and humid locations without any direct contact with water. UL Wet rating helps in selecting a fan to perform in any weather condition including snow, rain, ocean water or spray. The motor and blades of these fans are made of moisture resistant materials to perform all weather conditions. Size: It is another important factor to be considered while choosing stylish fan for your room. 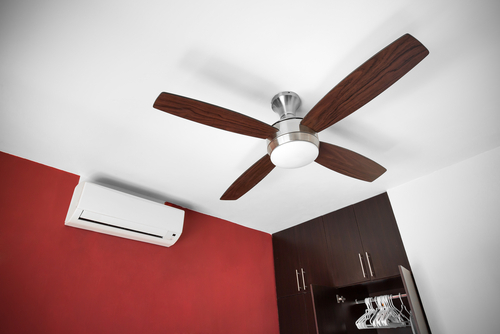 The size of fan should be chosen according to the size of the room you are going to install it in. The ceiling fan of any size cannot suit to any location as smaller fan cannot provide adequate cooling to larger room. Fans are usually available from 14 – 72 inches in size from which you can choose according to the area of your room and the height of its ceiling. One important thing to be considered at this stage is that the blades of the fan should be at least 7 feet away from the floor. If the height of the room is less than 7 feet then instead of using standard down rod for mounting it you can flush mount or slope mount it. 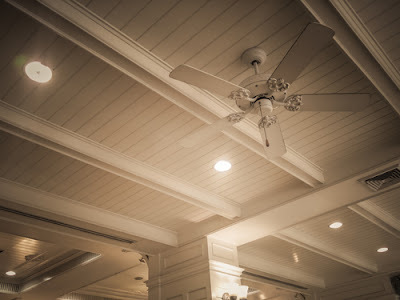 Light: Some of the stylish ceiling fans today are provided with lighting to give a unique look not only to the fan but to the entire environment of the room. If you want to install it in a space where enough natural light is not available and additional lighting fixtures are required then you can prefer for fans with lighting arrangements. Different types of lighting are used in these fans including fluorescent, LED or halogen from which you can choose according to your budget and required intensity of light. Finish and style: You can easily improve the looks of your home by installing ceiling fans with right finish and style. Today fans are available in various styles with different types of complementary finishes to make the choice easier for you. such fans are available in antique, contemporary, tropical and rustic styles with different features from which you can choose according to your preferences. Airflow and efficiency: The next thing to be considered while choosing the ceiling fan that matches your style is their efficiency and airflow capacity. Both of these factors depend upon the motor of the fan. The fans with DC motor are considered the best than with AC motor as they consume less energy and produce lesser noise and heat. Energy star is another feature that can help you in selecting the best fan for your home as they help in knowing their energy efficiency and durability. fans with high airflow are also considered the best as they provide more air circulation in the room by consuming lesser energy than others. Control: Various types of controls are provided these days with ceiling fans to enhance their style and ease to operate. Some of them have pull chain control whereas others have wall control as well as remote control so that they can be controlled without accessing them manually. Thus by considering the tips provided in this write-up you can easily choose a ceiling fan in Singapore that matches to your style.